This short course is an introduction to metal-based additive manufacturing and 3D printing of polymers, resins, carbon fibre composites and ceramics. The attendee will gain an appreciation of the technologies and techniques of 3D printing, supplemented with workshop activity that are at the forefront of innovation. The course is structured to deliver an interactive approach and ethos consisting of presentations, demonstrations of commercial and consumer machines, group activities and discussions. Machine types included within the course are metal-based powder bed systems, multi-material photocure, FDM and the latest MarkForge carbon fibre composite 3D printer. 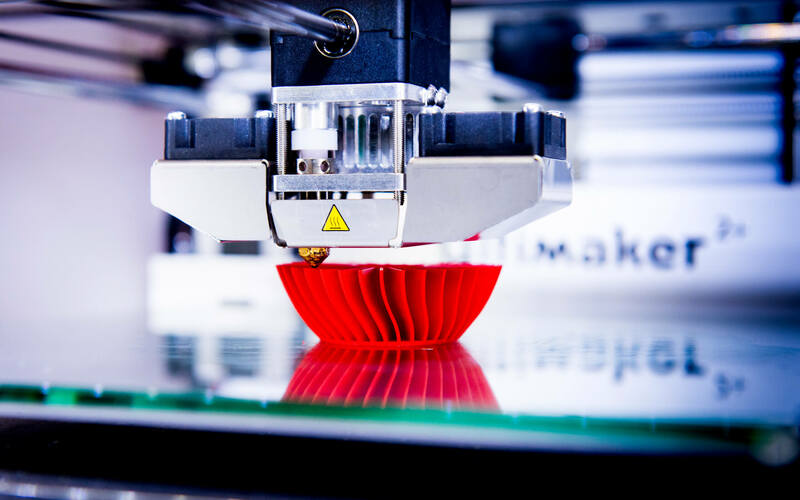 Although more than 30 years old, additive manufacturing and 3D printing opportunities have accelerated recently and are finding a much bigger foot print in business operations. In its early days, 3D printing was merely considered as a rapid prototyping technology. Fast forward 30 years and there doesn't seem to be a field which is not touched by it, from food and arts to medicine and aerospace. Commercially available machines now produce metals and alloys, polymers and resins, ceramics and fibre reinforced composites. With such a large variety of materials and methods it is a challenge to choose a technology that suits your business need. It is therefore essential to understand the range of technologies and materials in this exciting field to maximise its potential in a cost-effective way. A dedicated research institute and part of the College of Engineering and Technology within the University of Derby, the IISE retains the technical experts to deliver a portfolio of industrial research to commercial end-users and fundamental research covering advanced manufacturing and materials. Collectively, with over five decades of experience, the IISE retains all the essential modern assets, most of which are state-of-art to support the delivery of high quality, workshop based training and technology transfer programmes to business.